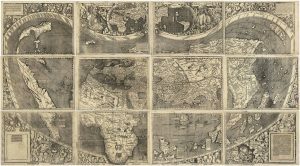 Waldseemüller (Martin Waldseemüller) map from 1507 is the first map to include the name “America” and the first to depict the Americas as separate from Asia. 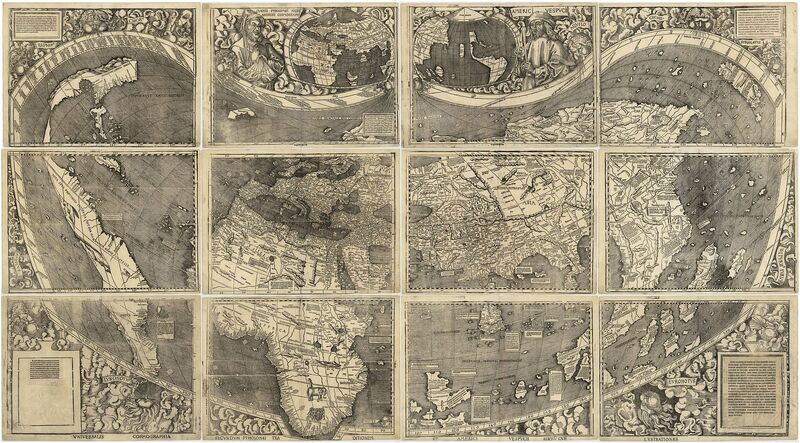 There is only one surviving copy of the map, which was purchased by the Library of Congress in 2001 for $10 million. This article describes in outline the main structures and developments in the foreign trade and general economic activity of Europeans from the beginning of the early modern period (ca. 1450) up to 2000. On the one hand, particular emphasis is placed on the diverse connections between the two economic fields of activity of “trade” and “economic activity” generally. On the other hand, there is a focus on the trade connections between Europe and the rest of the world, as well as on forms of transfer which go beyond these links, in order to investigate the extent to which trade and cultural transfer influenced and perhaps even transformed the economy of Europe and the non-European regions interacting with Europe. Trade makes nations and economies more productive and efficient as regards their factor allocation1 and the goods bundles available to them. Openness to the outside world often results in learning processes, for example by means of cultural transfer and the transfer of technologies.2 In particular, trade makes it possible to find a market for products which are surplus to domestic demand and it therefore promotes economic specialization. It also makes it possible to achieve increased profits over and above what can be achieved in an already saturated domestic market. This principle was a mantra of many mercantilist theorists. Trade also reflects one’s own economic performance, like a “window on the world” so to speak. It enables interaction and connectivity, and – if all other prerequisites are satisfied – it presents the opportunity to read signals from the global market and to integrate this information into the domestic economy to obtain an economic advantage through further specialization or productivity increases. Through imports, trade also grants access to the natural resources and pre-processed raw materials (semi-finished goods or so-called inputs) required for domestic production but which the domestic market cannot supply. Directly or indirectly, trade can be the primary engine of economic momentum, at least temporarily. Conversely, under different conditions and parameters, trade can have negative consequences for one or more of the participants and can result in underdevelopment. These connections are described more closely below by means of an overview and selected examples. The time period dealt with in this article spans a number of the historical periods commonly used in periodizations in historical studies. The period from ca. 1450/1500 to 1800 is usually referred to as the early modern period.3 From the perspective of the academic discipline of economics, the pre-industrial age ended around 1800. The phase of early industrialization began at this point, and lasted until 1870. The period from about 1870 until the outbreak of the First World War is frequently referred to as the “second industrialization” or “high industrialization”. The period between the World Wars (1918–1939) is often referred to as the “trans-war period”, and the period of the 1950s and 1960s and leading up to the oil price shock of 1973 is known as the “third period of industrialization ” or as the “golden age”. The historiography of trade and cross-border connections also has its own periodization. Reference is commonly made to a period of “proto-globalization” or “early globalization” between 1500 and 1800 (beginning with the voyages of discovery of Christopher Columbus (1451–1506) in 1492 and of Vasco da Gama (1469–1524) around the Cape of Good Hope in 1499/1502); and the 19th century is frequently identified as the period of globalization proper. 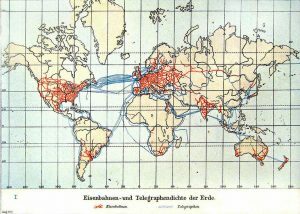 The period as a whole (1500-1900) witnessed the emergence of new trade routes and the development of new transport and communications technologies, which permanently transformed European and global trade flows, both in terms of their volumes and their structures.4 According to recent calculations5 by the British economist Angus Maddison (1926–2010) , the gross domestic product (GDP) per capita, which gives a rough measure of the development of productivity and of the economic development of a society, increased fourfold in Europe between 1500 and 1946, from 797 to 3917 international dollars. If one compares 1500 with the year 1941, in which the armaments industry was running at full capacity in Germany and western Europe, then the increase was more than fivefold. However, long-term economic development proceeded in waves. Using this model of calculation, total economic output in northwestern Europe – the leading economic region of the period – only grew by a little over half during the so-called early modern period, by 55 percent to 1235 international dollars. By contrast, it grew by 69 percent to 2080 international dollars in the five decades of globalization (1820–1870), and grew continuously thereafter, increasing by a further 77 percent to 3687 by 1913. The First World War was followed by the interwar period. For a number of countries and population groups, this period was extremely difficult and featured various economic crises. For example, Germany experienced a depression after 1918 and hyperinflation in 1923. The trans-war period also witnessed the rise of protectionism, the Great Depression and subsequently the rearmament and military mobilization of the 1930s, as well as the dramatic collapse as a result of the consequences of the Second World War. The GDP per capita of northwestern Europe was only slightly higher in 1946 (the first year after the Second World War) than it had been in 1913 (the last year before the First World War), at 3917 compared to 3687 international dollars. This represents an increase of only 6 percent, or an average annual growth rate of between 0.1 and 0.2 percent for the whole of the trans-war period. As a result of the World Wars and the loss of global market share experienced by leading industrial nations, particularly Great Britain, as well as the economic and political crises of the period, the growth potential of the European societies declined rapidly during this period. There was a similarly rapid decline in the economic integration of the region. When measured in terms of foreign direct investment as a proportion of the total size of the European economy – a measure of capital flows across borders – the level of integration of the economies and societies of Europe in 1913 was not reached again until 1980. The trends which economic and global historians often construct over longer time periods also indicate smaller intermediate cycles. For the purpose of conducting comparisons across larger geographical spaces and over longer time periods, and in the absence of dependable data on per capita income, other data relevant to economic and social development can be evaluated. In the past, economic historians have applied a so-called Malthusian model. Proceeding from assumptions regarding the interplay between population figures, available food resources (cereals) and limited technological parameters, it is possible to document – at least in an approximate way – how real incomes6 developed for certain homogenized groups of workers (e.g. stonemasons and day labourers) in the larger cities using records of cereal prices and wages. What emerges is a similar development in most regions of Europe, but with some regional differences. The 16th century is viewed as a period of population growth which witnessed considerable reductions in real wages. In the Netherlands real wages in the construction sector fell by about 6 percent, in England (London) they fell by about 15 percent, and in southern Germany and the hereditary Habsburg territories (Munich, Augsburg, Vienna) they fell by a full 34 percent. In the 17th century, population growth was very low in most parts of Europe, with the exception of the Netherlands and the southeast of England, particularly London. In the Netherlands, real wages increased between 1600 and 1700 back up to the level they had been at in 1500. 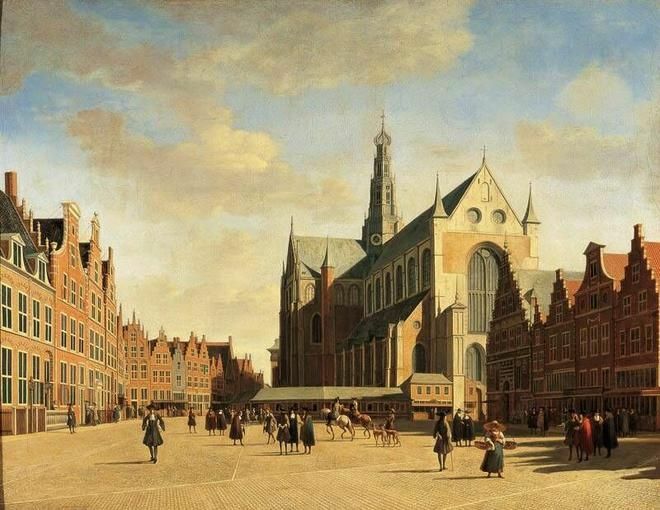 During this period, the Netherlands was the most progressive and wealthiest country on Earth and experienced its “golden age”, a process of economic and social structural transformation which was unparalleled in that era, and which saw Dutch per capita income rising between 1500 and 1750 to almost twice the average for northwestern Europe as a whole. In the rest of continental Europe, the fall in real wages of the 16th century was only partially reversed during the 17th century. Economic potential did not rise (“crisis of the 17th century”).7 During the 18th century, some regions of Europe experienced more dire losses, while the Atlantic economies, Britain and the Netherlands, were roughly able to maintain their levels of prosperity. Much less is known about Europe’s external trade. 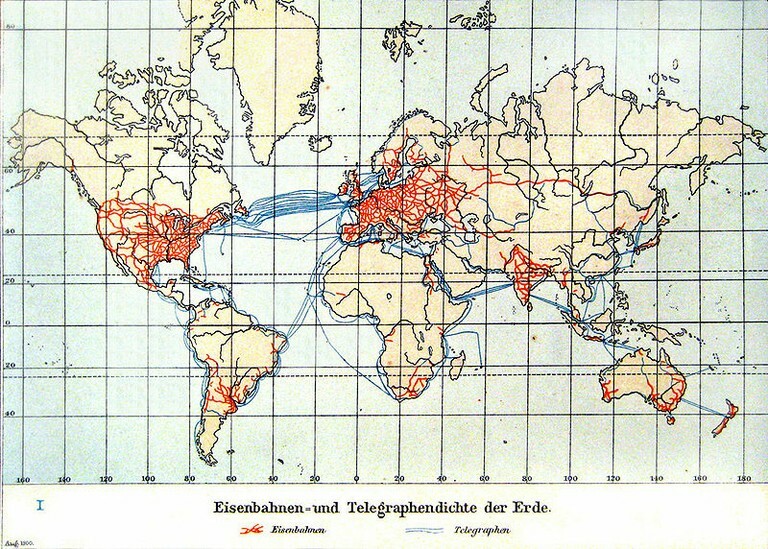 This is not least due to the scarcity of sources, to territorial fragmentation – particularly in central Europe – up to the late-19th century, to the extremely fragmented recording of commodity flows, and to the difficulty involved in using non-comparable figures, the dependability of which is unknown, for hundreds of regions and countries for different periods. It is often necessary to make use of proxy data. For example, it is assumed that the number of ships returning from Asia laden with spices increased annually by averages of 1.01 percent in the period 1500–1600, 1.24 percent in the century 1600–1700 and 1.16 percent in the period 1700–1800.9 During the early modern period, an average annual growth rate in European overseas trade of about 1.2 percent when compared with an estimated average growth rate in per capita GDP of 0.24 percent in Europe seems not only respectable, but gigantic. Thus, the growth in European and global trade during this period was about five times as strong as economic growth. No other period in history witnessed a comparable trend. Even during the almost two centuries between 1820 and the present day, the long-term degree of integration of the global economy was only about 1.2; in the early modern period it was more than three and a half times higher (3.0) . This means that an increasing trend towards the integration of Europe with the rest of the world and towards the integration of the European regions among themselves had already emerged before the period of “globalization” itself. Over the longer term, foreign trade volumes grew more quickly than the total economic output of Europe. More impressive levels of growth than these have only been recorded for shorter time periods, such as the period of industrialization and globalization during the 19th century. The structure of trade volumes also changed fundamentally. Europe was a territorially comparatively fragmented macro region with a long and in places very rugged Atlantic, North Sea, Baltic and Mediterranean coastline. Very poor roads and the absence of institutional, infrastructural and economic coordination at the inter-state and supranational level made sea-borne trade a more attractive alternative to the transportation of bulk goods over long distances over land for a long time before 1900.14 While in the preindustrial period it was primarily staples transported in bulk with low unit costs15 which were traded overseas, during the period of industrialization and globalization of the 19th century manufactured goods and industrial raw materials formed an increasingly significant part of European foreign and intercontinental trade. Thus, the structure of the trade volumes of individual countries and regions also reflects their varying degrees of economic development. If one considers the distribution of trade volumes between the sea and the land, and the contribution made by foreign trade to overall economic output, it becomes even more difficult to draw dependable conclusions. It is estimated that in the 18th century, 98 percent of Russia‘s trade occurred over land, with sea-borne trade accounting for just 2 percent. This value is based on the fact that foreign trade is estimated to have constituted 2 percent of Russia’s social product at that time.16 In the case of wealthier and more developed, open economies such as Britain and the Netherlands, foreign trade already constituted a far higher proportion of total economic output in the early modern period. 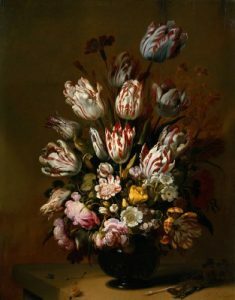 In the mid-18th century, exports may have accounted for as much as 12 to 13 percent of British GDP.17 The same applies to the Netherlands. Before discussing in more detail the history of the interconnections between trade and general economic activity, and between different nations and cultures using selected case studies, it is first necessary to discuss where this topic fits into broader theoretical and conceptual debates. Humans engage in trade in order through economic specialization to benefit from effects on wealth and income which would not occur in a world without trade. According to David Ricardo’s theory of comparative advantage, a famous hypothesis from the 19th century, an economy should focus on the production of those goods for which they have to expend less resources18 compared to other traded goods19 compared to their respective trading partner. Consequently, more is produced than is needed to meet domestic demand. Surpluses are exported and in exchange those goods are bought which are needed to meet demand, but which cannot be produced domestically as cheaply as they are by the trading partner. This modern theory of foreign trade, which was primarily developed to describe the industrialized economies of northwestern Europe and the North Atlantic world, assumes that both parties profit from the division of labour, since both consume more goods and services in total than before (i.e., than in a hypothetical world without the division of labour). Viewed historically, and particularly in relation to the periods before industrialization, one must make some important qualifications and revisions. For a long time, the fact was ignored that a model which was originally designed for England and Portugal and which was based on the two traded goods of “wine” (Portugal’s specialization) and “cloth” (England’s specialization) could lead to a state of underdevelopment. This means that the party who specializes in primary production, in this case Portugal, loses out on economic growth and growth potential over the longer term compared with the producer of finished goods, in this case England. Trade does not necessarily always bring increased prosperity for all participants, in spite of the theories which were repeated in modern economics textbooks up to very recently; this becomes apparent when a non-static perspective is adopted and when the factor “time” – and thus a historical perspective – is included in the analysis. A similar specialization model developed by the Swedish economic historians and economists Eli Heckscher (1879–1952) and Bertil Ohlin (1899–1972) predicts that economies will specialize in accordance with their specific factor endowment. Countries or economies in which the factor labour is plentiful compared to the factor capital (this includes the production factor of land ) benefit from wages which are low by international standards and attract production processes which are more labour intensive than capital intensive (such as in industry and high industry), and vice versa. In contrast to Ricardo’s model, however, this model is based on the assumption of a similar production function – both countries are equally productive in both sectors. But specialization is worthwhile, according to this theoretical assumption – which has historically often proved to be remote from reality – just as it was in the 18th and 19th century for Portugal to specialize in a process that required comparatively more labour input than capital input (wine production), and for England to specialize in a process which was predominantly based on the investment of fixed capital, for example, machines, fuel, steel and machine produced yarns and cloth. In 18th-century England, average wages were already so high by international standards and coal was so abundantly available, that it was already worthwhile concentrating on a capital-intensive, industrial mode of production. Some academics believe that this provided the economic incentive for the investigation and development of mechanized modes of production in the textile industry and in heavy industry, thereby laying the foundations for the first industrial revolution.20 However, this model ignores the difference between the income elasticity of raw materials compared to that of finished goods. For the producer of raw materials, these differences can lead to less dynamic development or even underdevelopment. This is an impressive example of how a historical perspective on economic processes using empirical historical data can enrich theoretical debate with additional insights. This enables us to adapt, review and improve the model. Thus, it is currently completely unclear whether free trade or generally liberalized foreign trade without onerous customs protections is profitable for all participants or results in economic development which is beneficial for all participants, as the mainstream theories of the 20th century often suggest. Compiled from data given in: Dennis O. Flynn / Arturo Giráldez: Cycles of Silver: Global Economic Unity through the Mid-18th Century, in: Markus A. Denzel (ed. ): From Commercial Communication to Commercial Integration: Middle Ages to 19th Century, Stuttgart 2004, p. 83; Jan de Vries, Connecting Europe and Asia: A Quantitative Analysis of the Cape-Route Trade: 1497–1797, in: Dennis O. Flynn et al. (eds. ): Global Connections and Monetary History: 1470–1800, Aldershot 2003, pp. 94f. As already discussed, intercontinental trade along the spice route had grown considerably both in frequency and volume during the 16th century. 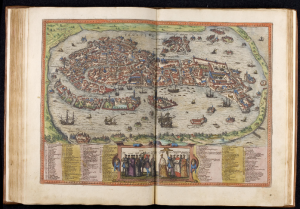 The longstanding monopoly of Venice as an intermediary in the spice trade was broken. From the medieval period, these goods had been brought through India, Hormuz, Mocha and through the Red Sea via Alexandria to Venice, where they had brought the Venetians unparalleled profit margins and wealth. Between approximately 1500 and 1517, a short but nonetheless radical break with existing patterns of trade occurred when Lisbon became the second most important entrepôt21 for spices after Venice. Southern German merchants in particular allied themselves with the Portuguese crown and invested capital. The Portuguese crown granted these merchants – in exchange for large monopoly rents – the sole rights to import spices via the staple market of Lisbon. In return, the merchants and merchant princes from Nuremberg and Augsburg, primarily the Fugger and Welser families of Augsburg, delivered payment in silver which was needed to finance these trade flows and the development of Portuguese bases in Africa and in the Indian Ocean. Up to the mid-16th century, the most important sources of silver in the world were located in central Europe, particularly the silver mines at Falkenstein in the Tirol, in the Harz region and in the Erzgebirge of Saxony and Bohemia. At the beginning of the 16th century, approximately 80 percent of European reserves of silvers were extracted in the Holy Roman Empire of the German Nation. The empire had experienced rapid economic growth from about 1470 onward. After 1500, the so-called Saigerhütten (smelting workshops) in the Thuringian forest began to employ a new extraction process using heat. Here Nuremberg and Augsburg merchants with large financial clout adopted a technologically complicated and cost-intensive process, in order to extract silver from the silver-rich copper shale from the seam at Mansfeld. The end product was distributed far beyond the borders of their own territory throughout Europe and to regions outside Europe. However, contrary to what one might expect, the supply of silver did not improve. Instead, the price of silver rose almost everywhere in the empire between 1470 and 1530. Additionally, from 1500 until the 1530s a marked deflationary cycle occurred in the empire, which bore characteristics of a depression. Between 1500 and 1530, the general price level in the economy fell or remained low. During the era of the Reformation, the population grew and the available economic resources slowly but continuously decreased. At the same time, an ever increasing proportion of the growing silver production was exported out of Germany. 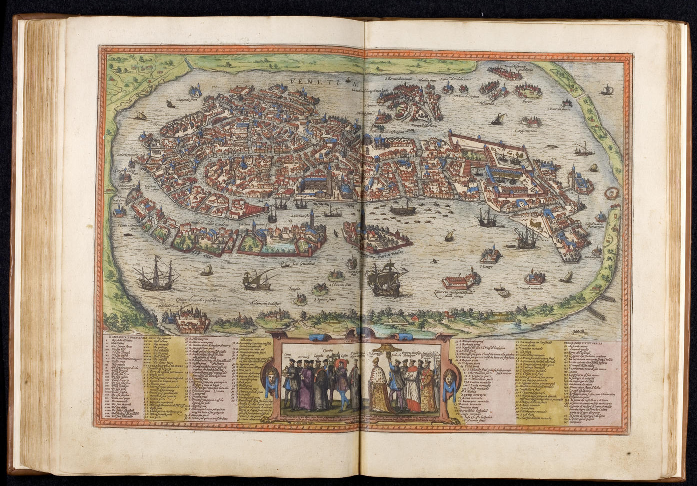 Around 1510, much of this was exported to Antwerp and Lisbon. Eminent members of the southern German merchant class from Augsburg and Nuremberg travelled to Lisbon to deliver silver for the Portuguese national mint, the Casa da Moeda. This silver financed Portuguese expansion to East Africa and India between 1480 and 1520. 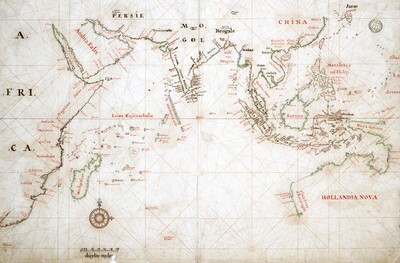 As early as 1500, the traded good silver and the trading interests connected with it had brought about a global network and processes of interaction between Europe and Asia. A comparison of the silver price in Europe with that in other regions of the world demonstrates the cold logic on which these processes of interconnection were based and the effects that they had on central European economies and societies . How can we explain this development? On the supply side, productivity in maritime transportation rose and transaction costs fell, not least due to the commercial competition in this area between the Netherlands and Britain in the mercantilist age (1600–1800/1850). The Dutch in particular succeeded in reducing the ratio of ship tonnage to crew size to a competitive level. This measure enabled them to offer transportation services to the rest of Europe. The stimulation of the colonial economy through the Navigation Acts 1651/1660, the customs system of the Restoration period (1660) and a restrictive trade and customs policy played their part in directing the flows of colonial goods so that from 1660 onward the greater part of all consumables imported from the Caribbean and North America entered Europe through England and (from 1707) Scotland. The goods had to be brought ashore there first before they were distributed to the European markets. These monopoly profits had the effect of greatly stimulating the commercial endeavours of British entrepreneurs.41 The merchants could offer the goods at low unit costs and in large quantities to the French, Dutch, German and Scandinavian markets. But in order for it to be possible to sell such quantities in these markets in the first place, a structural change on the part of consumers was necessary. From the 16th century onward, people in many parts of northwestern Europe were engaged by questions of production and consumption. In England and the Netherlands, the number of public holidays fell as a result of the Reformation, and the average number of hours worked per annum rose from 3100 in the 16th century to 3700 after 1650. In the case of England, it has been shown that a rise from 2700 to 3300 occurred in the period from 1750 to 1830. Thus the workload of a Londoner increased by fully 40 percent.42 More and more people engaged in side-line activities, particularly in home crafts, to increase their low incomes. They increased their consumption, replaced their clothes more often, and drank Chinese tea sweetened with Caribbean cane sugar. People enjoyed the mildly stimulating effect of nicotine in tobacco, as it suppressed the ubiquitous hunger pangs. Subsequently, the trade in colonial goods and the East India tradecontinued to grow. The individual was increasingly integrated into commercial contexts. According to the hypothesis of the “industrious revolution”, people became more industrious because they received the appropriate market and consumer-preference incentives. This laid important foundations for subsequent industrial growth after 1800, at least in northwestern Europe, where the “industrious revolution”43 became apparent in an ever increasing number of places and areas. The industrialization of England’s cotton textile production in the 18th century is a classic example of how previously positive conditions can have negative effects – for the respective trade partner. In this case also, interaction with Asian markets and the reception of signals and stimuli from the consumer by merchants and producers played a central role. From the end of the 17th century, Indian cotton fabrics – known as calicos and muslins – imported by the London East India Company enjoyed increasing popularity among the better-off classes in England. Simultaneously, there were increasing calls that the domestic market should be protected against these imports and that the market for domestically produced cloth should be stimulated. In 1685, the import duty on India cotton fabric was raised from 7.5 to 17.5 percent. In 1690, the duty was raised again up to nearly 30 percent of the value of the imports. In 1700, the domestic lobby scored a decisive victory as the importation of literally all processed India cotton fabric was prohibited. It was now only permitted to import processed fabric in order to sell it into foreign markets or to import unbleached and undyed calicos and muslins for the domestic English market. In this way, the English producers were able to secure for themselves a first important step in the goods chain, the refinement process. There is evidence that the English were successfully exporting high-value refined cotton handkerchiefs by 1711. In 1721, the second step in this important process of substitution occurred with a general import ban on Indian inputs, which included unbleached and unprinted cotton fabric of all kinds, with just very few exceptions. 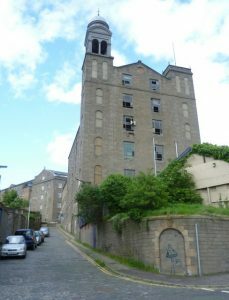 The lobbyists of the silk and woollen industries, as well as the growing cotton industry in the northwest of England (Manchester), repeatedly got their way. The stimuli to change the structures and production functions in the cotton fabric sector initially came from another production sector, from linen weaving. Linen fabric was cheap to produce and to buy, and it was most commonly worn by Europeans and Americans during the summer season. With the emergence of the production of colonial goods and the connected slave tradeor triangular trade from the 16th century, linen was increasingly exported to the warmer overseas possessions of Portugal, Spain, England and even the Netherlands. There linen was used as clothing for slaves. The Europeans used the fabric to obtain increased production and profit margins through export. Whole regions of Europe specialized in the production of linen cloth, for example Silesia in the Holy Roman Empire of the German Nation, and large parts of Scotland and Ireland. In these regions, linen was primarily produced in a decentralized fashion as a home and side-line activity in the agricultural sector. The control over production and distribution was often in the hands of large merchants operating at the supra-regional level, who incorporated these regions and their produce into the larger logistical network of the Atlantic economies. 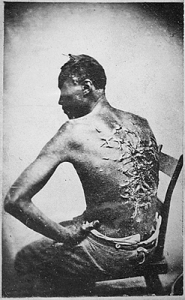 [RIGHT]: The slave shown in this photograph, who had been badly mistreated by his overseer, sat for this portrait in 1863 – during the American Civil War (1861–1865). In addition to political and economic measures, the anti-slavery movement exerted influence on the military conflict between the northern and southern states of the USA. 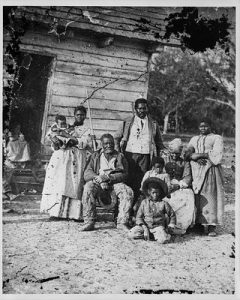 / National Archives, Washington D.C.
Slavery had been introduced both as a system of production and a social order on the Caribbean islands in the 16th century . During the 17th century, it had been “perfected” and “exported ” to regions of the American mainland. Due to the physical geography of these regions, it was possible to specialize in the production of raw materials and inputs in monoculture.50 Slavery was finally abolished in the USA in 1865 due to political pressure.51 Up to the late-1850s, the demand for unprocessed cotton for the busy textile factories around Birmingham and Manchester in England had served as a stabilizing factor in this systems which even by the standards of the time was outmoded. The demand raised the prospect of large profits for the owners of the slaves and the cotton plantations. However, over the long term specialization in a raw material which was of central importance at that time ultimately resulted in underdevelopment . Europe constitutes an important and dynamic region of the world, at least in retrospect. The first recorded industrialization process in history occurred in northwestern Europe. This process dramatically transformed the income structure, patterns of consumption, and growth potential of the European societies. On the one hand, many indicators suggest that the roots or sources of this dynamic are to be found much further back than 1800. On the other hand, it is also clear that this development would scarcely have been possible in the scale in which it occurred without the increasing interconnectedness of the global economy and the increasing interaction with actors, regions and cultural circles outside Europe, which had already begun in the late-medieval period. The “European miracle” was not based on characteristics unique to the European economy or society , but primarily on transfer links with the rest of the world, albeit under asymmetrical conditions, that is, a division of labour which was disadvantageous for many non-European regions. All of the fundamental metanarratives and large fields of action of global history are reflected in the phenomenon of trade. Blanchard, Ian: “Russia’s Age of Silver”: Precious Metal Production and Economic Growth in the Eighteenth Century, London 1989. Findlay, Ronald / O’Rourke, Kevin H.: Power and Plenty: Trade, War, and the World Economy in the Second Millennium, Princeton et al. 2007. Jardine, Lisa: Going Dutch: How England Plundered Holland’s Glory, New York 2008. Rössner, Philipp Robinson: Small is Beautiful? Dutch Economic Prominence and Scottish Economic Development in the “Long Seventeenth Century”: 1600–1750: Fisheries and the Foreign Trades, in: Markus A. Denzel et al. (ed. ): Small is Beautiful? : Interlopers and Smaller Trading Nations in the Pre-Industrial Period, Stuttgart 2011 (Vierteljahrschrift für Sozial- und Wirtschaftsgeschichte, Beihefte 213), pp. 131–153. Allocation of production factors (work, ground, capital, raw materials, also human capital) to economic subjects to use for own puposes (i.e. production of a particular commidity). Reinert, Rich Countries 2010; Reinert, Translating Empire 2011, chapter 1. Starn, Modern Muddle 2006, pp. 296–307. Findlay / O’Rourke, Power and Plenty 2007, chapter 7. However, for the period before the mid-19th century, this data must be viewed as pure speculation without any claim to quantifiability of the absolute figures. This is calculated by dividing the wage rate by the price level. Parker, Global Crisis 2013; De Vries, Economy of Europe 1976. For the most recent work on this, though with a strong social Darwinist perspective, see: Clark, Farewell to Alms 2007. De Vries, Connecting Europe and Asia 2003. For example, see: Bentley, Old World Encounters 1993. For a recent overview of this “great divergence” (Pomeranz), see: Allen, Global Economic History 2011, chapters 1 and 2. Rosenthal / Bin Wong, Before and Beyond 2011, particularly chapters 3 and 7. These included cereals, salt, fish and coal, but also textiles, particularly relatively inexpensive linen and woollen cloths, as well as the more expensive cotton cloths. There was also colonial goods such as Asian imports with high unit prices and very high profit per unit. The latter were supplied through monopoly-type trade structures with correspondingly high mark-ups by the middlemen (tea, coffee, chocolate, sugar, spices). Blanchard, “Russia’s Age of Silver” 1989. Particularly paid labour, measured in hours. The model is usually based on the assumption of a bi-sectoral economy or “global economy” with two traded goods. Allen, Industrial Revolution 2009; Wrigley, Energy 2010. A place via which particular goods must be first imported and then offered to a precisely defined range of buyers before going on general sale. A profit made by exploiting the price difference between two locations. 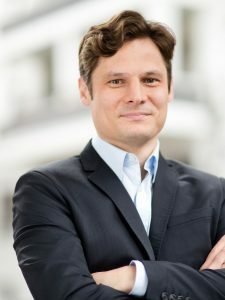 Rössner, Deflation 2012, chapter II. As was the scarcity of silver before it, this price revolution – and the characteristics of silver as a global traded good and the most important metal used for coinage at that time – was thematised in numerous contemporary discourses and pamphlets on social and economic theory, including by Nicolaus Copernicus (1473–1543), Jean Bodin (1530–1596) and the late-scholastic authors of the Salamanca school. Based on the figures which are critically discussed above under (under “Preliminary Remarks”). De Vries / Van der Woude, First Modern Economy 1997; Prak, Dutch Republic 2005. Rössner, Small is Beautiful? 2011, pp. 131–153, particularly: Tab. 1, p. 139. Van Zanden / Van Tielhof, Roots of Growth 2009, pp. 389–403. Comparison of the purchasing power of representative wages through conversion into silver units, a very problematic method, but the most practical method for achieving international comparability. Described metaphorically by Immanuel Wallerstein (*1930) as the formation of “centre-periphery” relationships, and understood by Fernand Braudel (1902–1985) as a “migration” of the commercial and global economic centres from the south to the northwest. Braudel, Civilization and Capitalism 2002, vol. 1; Wallerstein, Modern World System 1974–1980. Schama, Embarrassment of Riches 1987; North, Kunst und Kommerz 1992. Zahedieh, Capital and Colonies 2010; Rössner, Wake 2008, chapters 2, 4 to 8. Abel, Agrarkrisen 1978; Abel, Massenarmut 1971; Abel, Stufen der Ernährung 1981. For a more recent neo-Malthusian interpretation, see: Clark, Farewell to Alms 2004. De Vries, The Industrial Revolution 1994 and De Vries, The Industrious Revolution 2008. Imports of Caribbean cane sugar into England rose from 150,000 hundredweight in 1660 to 370,000 hundredweight in 1700. Imports into England of North American tobacco alone grew between 1615 and 1700 from 50,000 to 38 million pounds weight, corresponding to more than 8,000 percent growth, and increased to more than 50 million pounds weight in the 1770s. In 1771, Scotland alone imported more than 45 million pounds weight of legally declared tobacco. Rössner, Interloping 2011, pp. 103–130, see: Tab. 1, p. 98; Rössner, Wake 2008, Appendix. In the case of tobacco, up to 90 percent was exported. Berg / Eger, Luxury 2003; Brewer / Porter, Consumption 1993. Engerman, Mercantilism 1994, vol.1, pp. 182–204; Zahedieh, Capital and Colonies 2010; Devine / Rössner, Scots 2011, pp. 30–54. Voth, Time and Work 2001. A hypothesis developed in: De Vries, Industrial Revolution 1994, pp. 249–270; De Vries, Industrious Revolution 2008. A trade and customs policy which aims to protect domestic industry and services. Parthasarathi, Why Europe Grew Rich 2011; Rothermund, Europa und Asien 1978; Reinert, Rich Countries 2010; Chang, Kicking Away 2003. For a more recent global history of cotton: Riello, Cotton 2013. These included, for example, railways and steam shipping. The invention of the oil burner and the diesel engine subsequently gave rise to the motor car and the lorry. Compare, for example, the invention of the telegraph and the telephone. This interconnectedness becomes conspicuous, for example, in the integration of markets, in rising correlation coefficients, and in the closing of the price gap (resulting from arbitrage and transport cost differentials) for internationally traded goods such as spices, foodstuffs and industrial raw materials. This production system has even been described by some historians as “profitable” and “economically rational”, since the profits of the plantation owners (slave owners) compared favourably with the best investment alternatives in industrial production in the North. For example, in South Carolina people specialized in growing rice and indigo; in Virginia and Maryland people initially also specialized in tobacco growing. 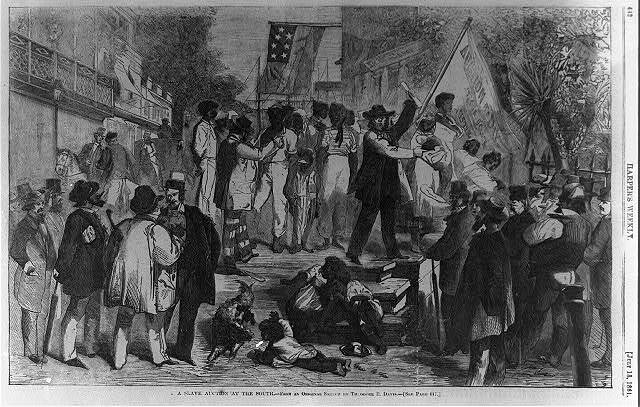 Philanthropy, which featured prominently in the contemporary discourse, also demonstrably played a central role in the abolition of slavery. This entry was posted in Early Modern, Economy, Europe, History. Bookmark the permalink.